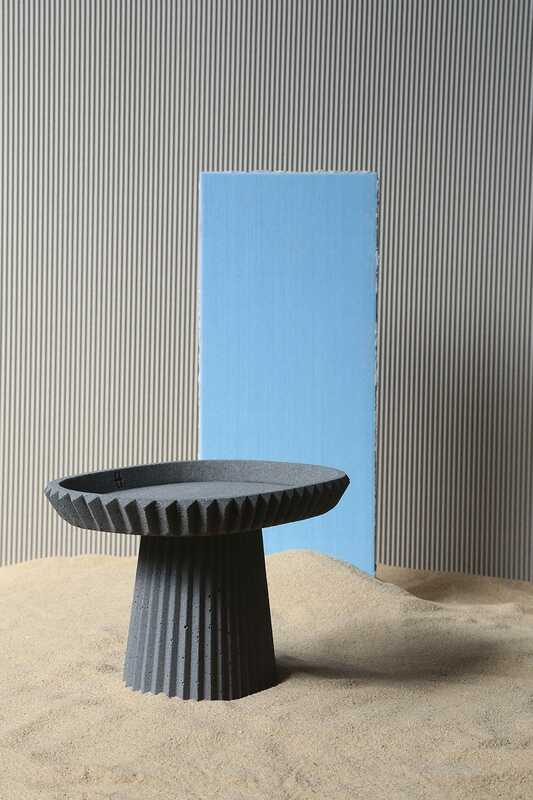 SIMAN cake stand is one of the 7 concrete tableware objects of SIMAN Collection conceived by Italian designer Gian Paolo Venier for our 2018 series. 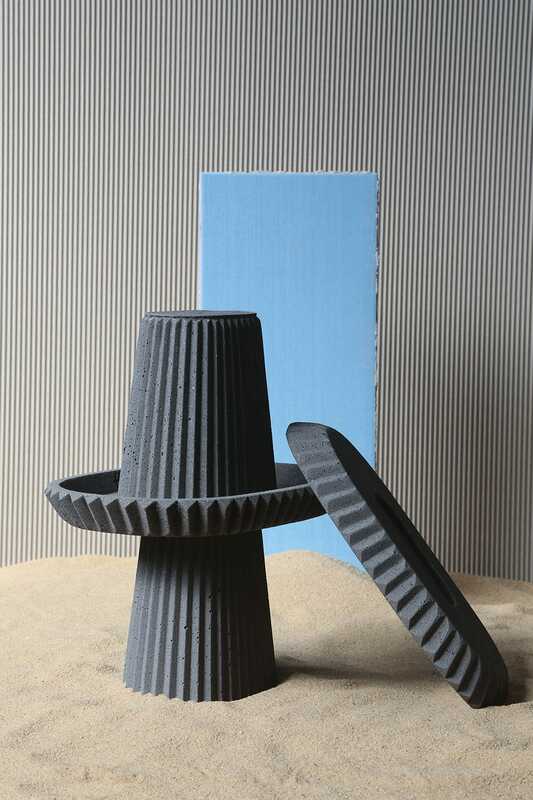 A passionate traveler, Gian Paolo Venier is in constant search of afar atmospheres to contaminate his design vocabulary. A postcard representing the ancient Toghrul tower, situated near Teheran (Iran) was the starting point for this collection. 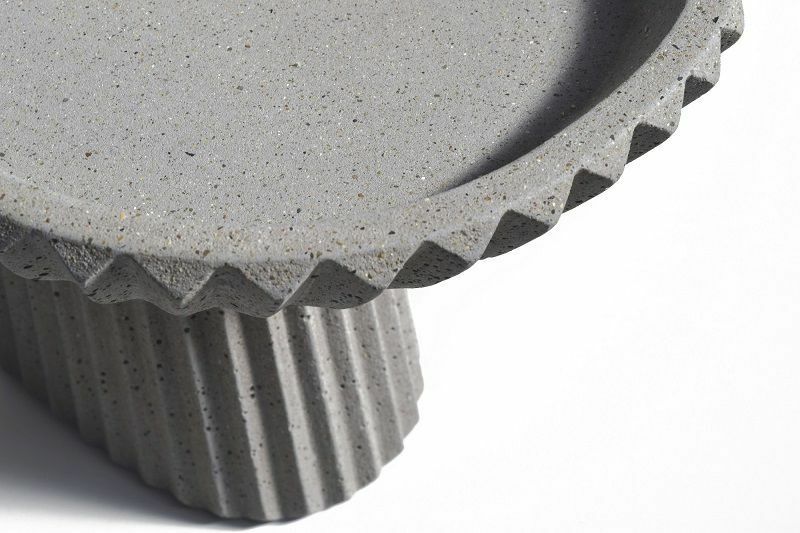 The name comes from the Farsi term “siman”, which means concrete. 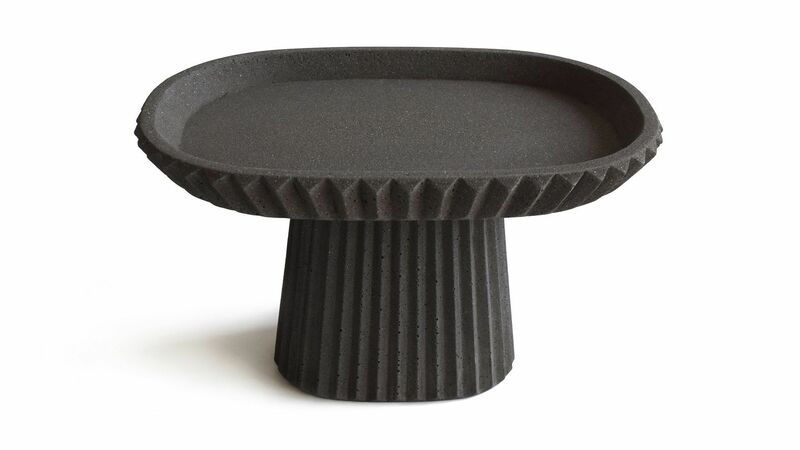 Marked by the iconic pleating – which creates an everchanging game of shadows and depths – the 7 pieces – cake stand, candle-holder short, candle-holder tall, catchall, dish small, dish big, vase – carry a strong architectural character. For a panorama of little architectures that populate our interior landscapes with a highly graphic and timeless personality. 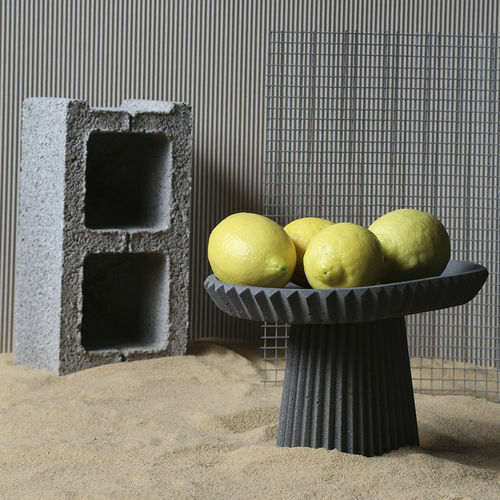 Available in 2 shades that highlight the texture of the concrete – light grey and anthracite – the collection is hand produced by UrbiEtOrbi in Greece.